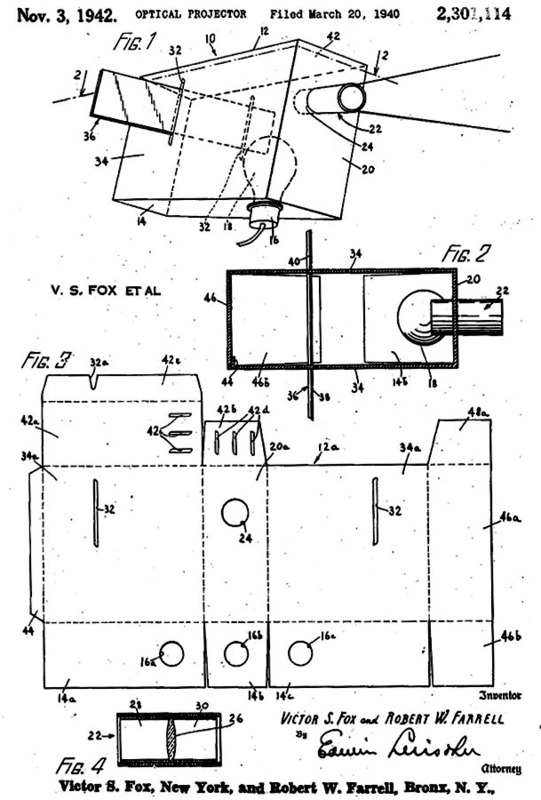 Robert W. Farrell was born Isidore Katz on February 5, 1908 in New York City. His father, Hyman Katz, was born in 1873 in Galicia of Jewish ancestry. His mother, Rosie Katz, was born in 1876 in Galicia of Jewish ancestry. His parents married in 1896 in Galicia. Until after WWI the former nation of Galicia occupied regions of Austria and Poland. His parents came to America in 1897 and settled in New York City, where they lived at 176 Delancey Street in the Jewish Ghetto of the Lower East Side. The father worked as a tailor. They had four children, Betty (b.1897), Nathaniel (b.1900), Jenny (b.1902), and Isidore (b.1908). By 1905 the family had moved to 141 Essex Street. By 1910 the family had moved to 504 East 12th Street. At that time the father's occupation was listed as tailor of men's clothes in sweat shop. By 1915 the family had moved to 256 East Houston Street. In 1917 the father was listed as a tailor of men's clothing at Abraham Bierman's factory at 164 Avenue D.
In 1918 the eldest son, Nathaniel Katz, began to attend City College of New York on 138th Street and St. Nicholas Avenue, where he studied Law and joined the school's Army Training Corps. In 1918 during the Great War Isidore Katz was ten years old. The eldest son, Nathaniel Katz, served as a Private in the Army and was assigned to Officer Training. He was not sent overseas before Armistice was declared in November of 1919, after which he was honorably discharged on December 7, 1919. In 1924 the two sisters, Betty and Jenny, both married and moved away from home, after which the parents and their two sons moved to 184 Beach 56 Street in Far Rockaway, Queens, NY, where the eldest son, Nathaniel Katz, worked as a Law Clerk. Isidore Katz, age seventeen, attended Far Rockaway High School, at 8-21 Bay 25 Street. In June of 1926 he graduated from Far Rockaway High School. By 1930 the family had moved to the Bronx, where they lived at 3521 DeKalb Avenue. The father had retired, while the eldest son, Nathaniel Katz, worked as an Attorney. Isidore Katz attended college in the Bronx and studied Law. In 1932 Isidore Katz graduated from a college in the Bronx, where he had studied Law. On July 27, 1934 the older brother, Nathaniel Katz, married Jessie Simon and moved away from home. On October 6, 1938 the mother, Rose Katz, died at the age of fifty-nine in the Bronx. After this tragic death Isidore Katz, age thirty, and his widowed father, Hyman Katz, age sixty-four, moved in with the eldest sister's family in the Bronx at 1860 Morris Avenue. Her married name was Betty K. Stern. Her husband, Joseph M. Stern, was born in 1900 in NYC and worked as a credit manager at a clothing store. Their teenaged son Jerome Stern was age thirteen. In 1939 Isidore Katz, age thirty-one, began to use the business name Robert W. Farrell, while he worked as a "Broker of Magazine Advertising" for Victor S. Fox of Fox Publications at 480 Lexington Avenue. In 1939 Victor S. Fox produced Wonder Comics featuring Wonderman, a superhero drawn by Will Eisner that resembled Superman, for which he was sued for copyright infringement by Harry Donenfeld. Will Eisner later recalled his experience of working for Victor S. Fox with a business associate named Robert W. Farrell. 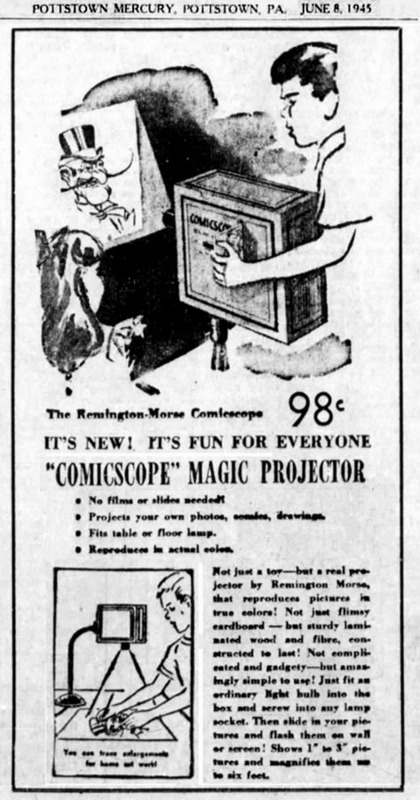 On March 20, 1940 the U.S. Patent Office registered an application for The Comicscope, an optical projector invented patented by "Robert W. Farrell (of the Bronx, NY) and Victor S. Fox (of NYC, NY)." 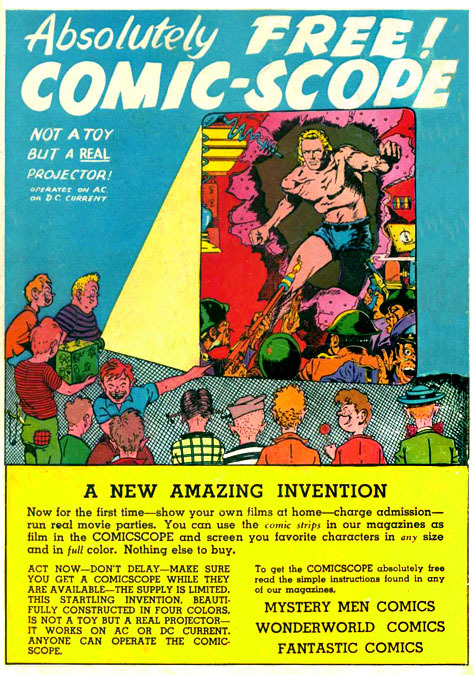 The first issue of The Blue Beetle appeared in February 1940 with a full-color full-page advertisement in the back-cover for the Comicscope. At that same time the February 1940 issue of Mystery Men Comics #7 had a full page inside-back-cover advertisement for Comicscope with directions to send three clipped coupons from Fox Comics, plus one nickel for postage and handling, to Fox Publications at 480 Lexington Avenue. 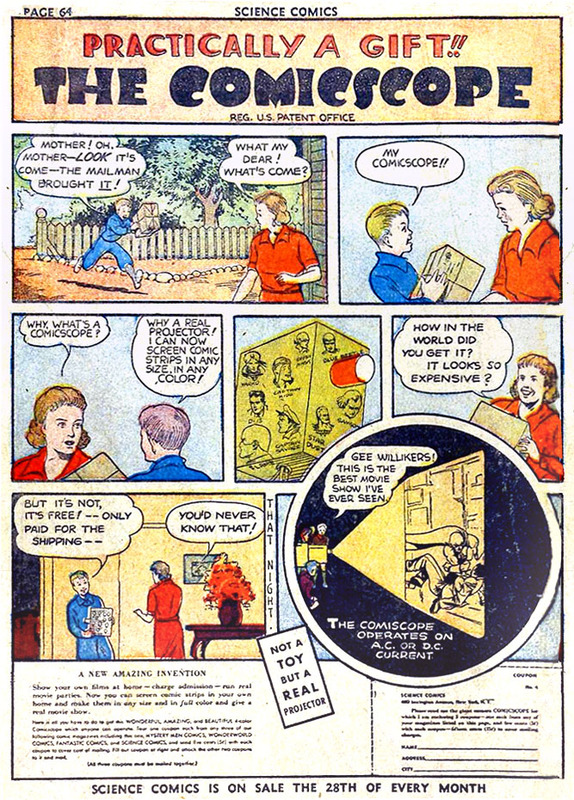 Again at that same time the first issue of Science Comics appeared February 1940 and page 64 had a full-color advertisement featuring the comicscope with instructions to mail three cut-out comic book coupons to Fox Publications at 480 Lexington Avenue. 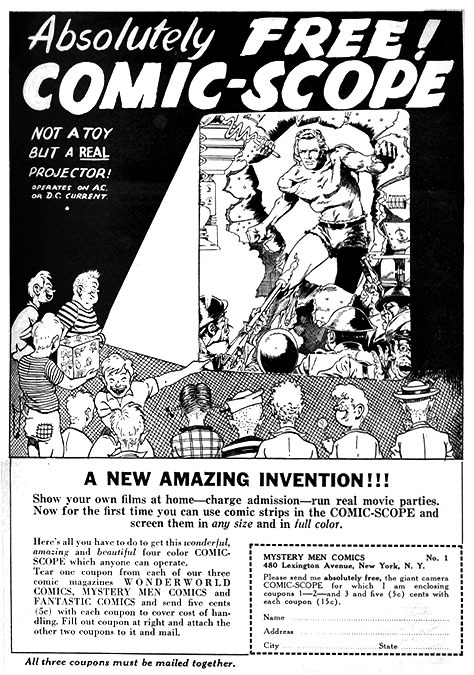 One year later the "New 1941 Comicscope" was offered for sale in advertisements of other comic books, such as the May 1941 issue of Speed Comics #13, which had an inside-front-cover full-page advertisement, which informed purchasers to send twenty-five cents to "Comicscope Company of America" at 225 West 57th Street, NYC. That was the address of the executive offices of PDC (Publishers Distributing Corporation), which was owned by Irving S. Manheimer, who employed Leo Greenwald as Advertising Manager. One of the publishers they distributed was Victor S. Fox, who also manufactured a soft drink, Kooba-Kola, whose advertisements they also handled. 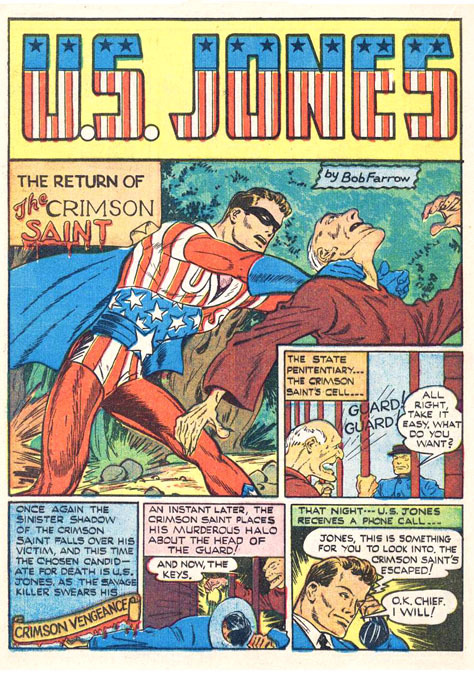 In November 1941 the Fox Publishing Company produced U.S.Jones comic books, which featured U.S.Jones written by Robert W. Farrell under the names "Bob Farrow" and "Bob Lerraf." Pages 32 and 33 contained a two-page advertisement for Kooba-Kola, which listed corporate offices at 247 Park Avenue. On February 4, 1943 Isidore Katz married his wife, Yvette T. Katz, in NYC. In 1943 during WWII Isidore Katz was drafted and served in the Army. He was stationed at Camp Rucker in Alabama. One of the soldiers in his unit was George Hermann, who was the twin brother of Ruth Rae Hermann, the comic book editor and associate of Frank Z. Temerson. George Hermann later recalled curious instances in which mail was delivered to Isidore Katz by an orderly that shouted, "Hey Katz! Here's another letter for Robert Farrell!" Twenty years later Robert W. Farrell wrote a newspaper editorial recalling his experiences in nearby Dothan, Alabama, while spending his weekend furlough to shop at Blumberg's Department Store and visit the local newspaper offices of The Dothan Eagle. Most draftees were obliged to serve for the duration of the war plus six months. The war ended on August 15, 1945, so most soldiers were on the way home by February 1946. The first issue of Captain Flight Comics was dated March 1944. The distributor was PDC. The Publisher was listed as Robert W. Farrell. The Publishing company was Four Star Publication at 1776 Broadway. That was the side entrance to 225 West 57th Street, the executive offices of PDC, which was owned by Irving S. Manheimer, who employed Leo Greenwald. The May 1945 issue #8 of Captain Flight Comics had an Ownership Statement that listed the publisher as Robert W. Farrell at 28 East 10th Street and the Managing Editor as Yvette T. Farrell. On May 17, 1945 Robert W. Farrell was granted a divorce from his wife, Yvette T. Farrell, in Miami, Florida. They had no children. The divorce certificate identified the husband as "Robert W. Farrell of New York City, also known as Robert W. Katz." In 1945 the NYC Business Directory listed Robert W. Farrell as a Publisher residing at 28 East 10th Street. This directory listing appeared for the next eight years. 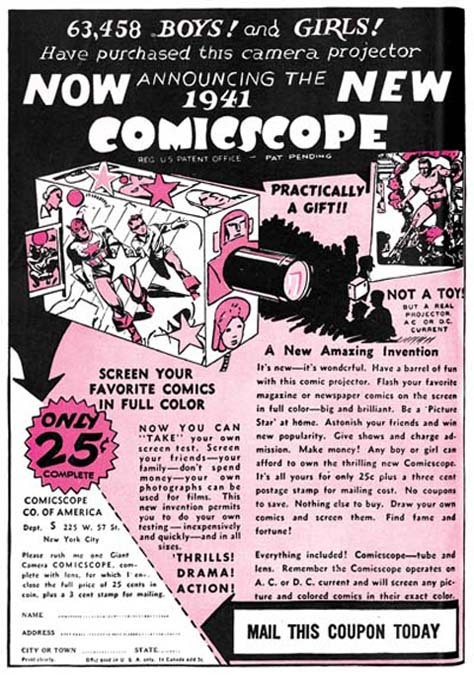 In 1945 Nationwide newspapers began to advertise The Comicscope for sale at department stores, as well as through advertisements in various comic books. Robert W. Farrell owned and operated Association Feature Syndicate at 28 East 10th Street. This syndicated newspaper service offered a Broadway gossip column he wrote, plus a comic strip he wrote called "Captain Flight," as well as another comic strip called "Hep Cats," which was written by Ruth Rae Hermann, the twin sister of his old Army buddy. The 1945 NYC Business Directory listed the Farrell Comics Group at 30 East 60th Street, while two other companies he was associated with, Excellent Publications and Four Star Publications, were listed at 540 Park Avenue. 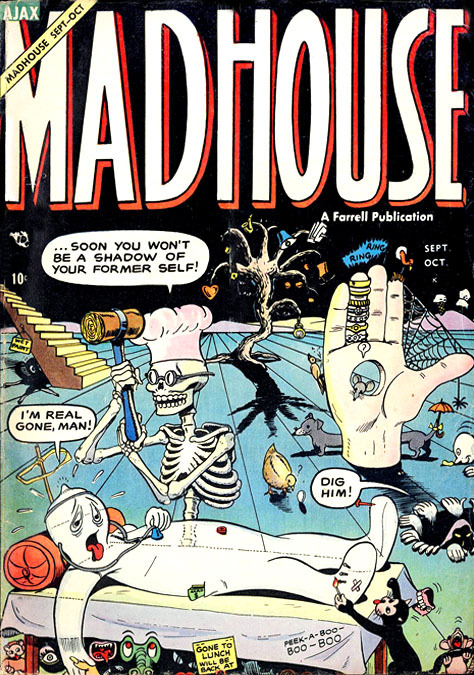 In 1948 a group of professionals from the comic book industry formed the Association of Comic Magazine Publishers to advocate self-censorship for the industry. The members included Ray Hermann (Orbit Comics Publisher), Lev Gleason (Comic House Publisher), Phil Keenan (Hillman Comics Publisher), Bill Gaines (EC Comics Publisher), Harold Moore (Famous Funnies Publisher), Irving S. Manheimer (PDC - Publishers Distribution Company), and Frank Armer (Leader News Company). Robert W. Farrell was a legal adviser. 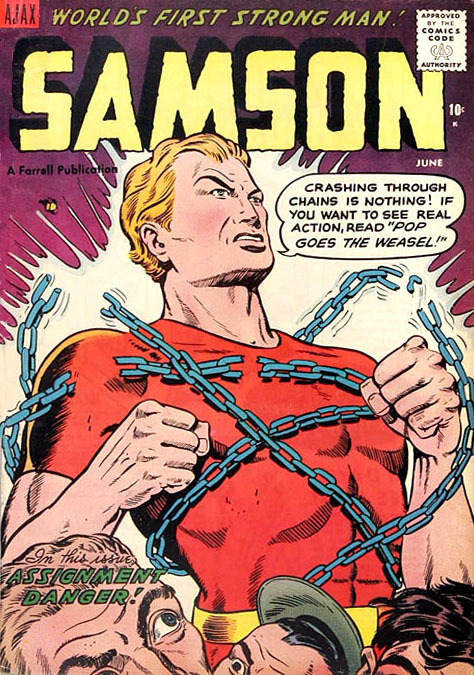 They sought in vain to generate positive publicity in response to growing public outcry against portrayals of violence and indecency in comic books. On January 21, 1949 The Knickerbocker News published an editorial concerned with shockingly lurid and offensive material in comic books, and noted that proposed legislation to regulate the industry had compelled some comic book publishers to quickly develop a keener appreciation of their public responsibilities. "Robert W. Farrell of Superior Comics Limited of New York writes that until recently he was chairman of the legal division of the Comic Book Publishers Association. 'I know many of the reasons why some publishers have resorted to the type of magazines published that have brought the comic magazine into public discussion.' Well, let's not make much mystery about that. There is, unfortunately, a market for such hopped up trash camouflaged as comic books. The pennies that roll over the counters are 'many of the reasons.' Basically, they are all of the reasons why these publishers have, to use the words of Mr. Farrell, 'resorted to the type of magazines' from which the people are determined to rid themselves." In 1950 Harry Donenfeld and Frank Armer formed Trojan Comics, a new division of Trojan Publishing Corporation at 125 East 46th Street. Their first titles were Crime Smashers and Western Crime Busters. Robert W. Farrell formed Ajax Publications at 540 Park Avenue. The significance of name is unknown, however according to the Iliad, the Trojan army was opposed by a powerful warrior named Ajax. 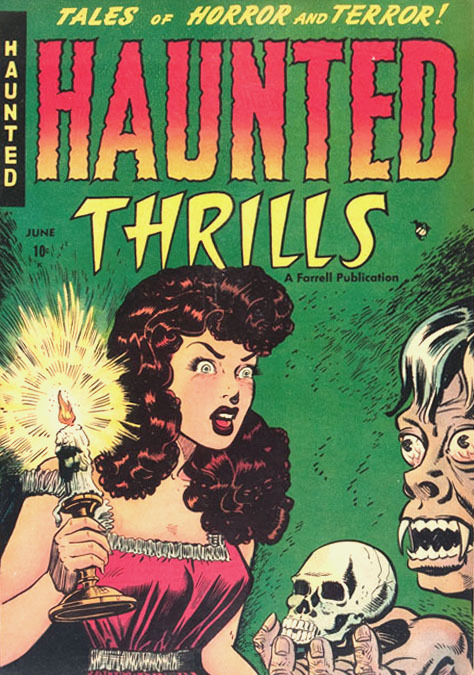 In 1952 the comic book Haunted Thrills was published by Farrell Comics at 30 East 60th Street. The indicia lists the publisher as Robert W. Farrell. In 1953 he began to write a Broadway gossip column "New York At Night by Bob Farrell" for The Brooklyn Eagle. 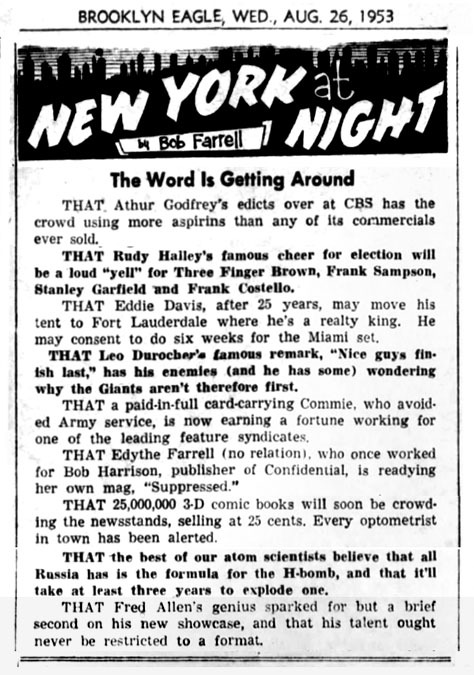 In 1953 Walter Winchell mentioned in his syndicated gossip column that his fellow columnist, Bob Farrell, was dating Television actress Nancy Reid. 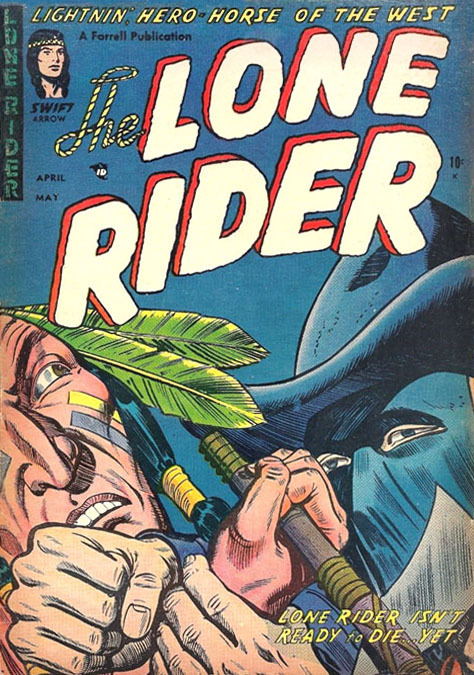 In 1954 Robert W. Farrell produced the comic book The Lone Rider. It was distributed by Kable a member of the Council of Independent Distributors. In 1954 Walter Winchell reported that Bob Farrell was dating Barbara Cavanaugh, who was the daughter of the NYC Fire Commissioner. During the summer months when columnists took vacations, Bob Farrell was substituted by celebrities including Henny Youngman, Tex Beneke, and Cab Calloway. Their essays included personal thanks to their friend "Bob Farrell." In 1954 The Brooklyn Eagle suffered financial hardships during a protracted dispute with striking employees, which forced the 114-year-old newspaper to suspend publication on January 29, 1955. In the final months of 1955, after many months of silence, nationwide newspapers identified Robert W. Farrell, a lawyer and former Broadway columnist, as the president of a new corporation that planned to revive The Brooklyn Eagle by offering a $750,000 stock issue under the regulations of the Securities and Exchange Commission. "Mr. Farrell expressed optimism that Brooklyn civic and business leaders, who had deplored the year's loss of the newspaper, would subscribe heavily to the stock issue." The June 1957 issue of Brides Secrets #15 from Ajax Publications included an Ownership Statement that listed the publisher as Robert W. Farrell at 540 Park Avenue, and another co-owner was Betty K. Stern, who was his sister. 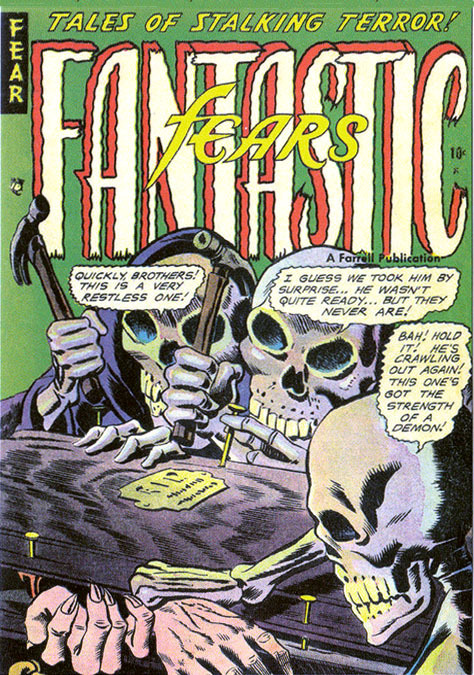 The May 1958 issue of Strange Comics #6 included an Ownership Statement that listed the publisher as Robert W. Farrell, and another co-owner was Nathaniel Katz, who was his brother. 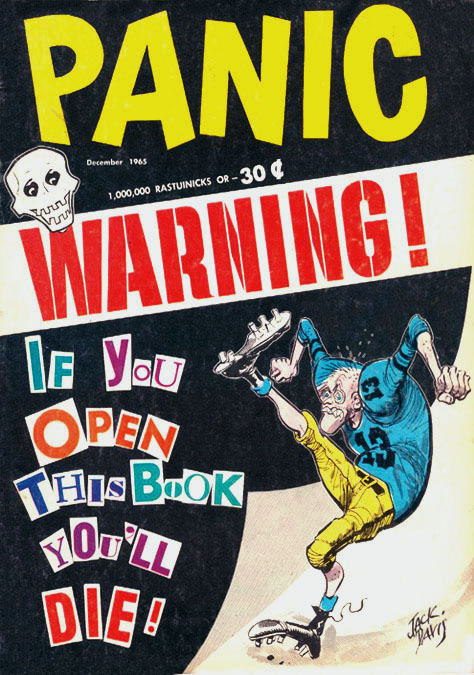 In 1958 Robert W. Farrell published Panic, a humorous satire magazine that resembled Mad Magazine. The indicia listed the executive offices at 540 Park Avenue. On December 8, 1959 The Washington Post reported "Robert W. Farrell, one time columnist for The Brooklyn Eagle and more recently a publisher of humorous magazines, announced he will soon resume publication of the Brooklyn daily newspaper." In October of 1960 The Brooklyn Eagle appeared on a limited number of newsstands as a Sunday newspaper. The publisher was Robert W. Farrell. On November 26, 1960 The Brooklyn Eagle ceased publication after five single weekly issues released on Sundays. Two years later in October of 1962 Robert W. Farrell published a new The Brooklyn Eagle as a morning edition. In April of 1963 a 35-year-old postal worker from Baltimore staged a one-man protest march from Chattanooga, Tennessee, to Jackson, Mississippi, while carrying a protest sign with a picture of Jesus Christ that said, "Wanted for Sedition, Criminal Anarchy, Vagrancy, and for Conspiracy to Overthrow the Established Government." On April 24, 1963, this fanatic political activist was shot to death in Keener, Alabama. Following this murder, Robert W. Farrell wrote an editorial for the June 10, 1963 The Brooklyn Eagle that demanded justice. Furthermore, he said he had served in the Army during WWII and was stationed at nearby Camp Rucker, from which he had personal experience of "the ignorant, bigoted people in the hate ridden Alabama town of Gadsden, from which the poison, the bigotry of the South will spread on the front pages of newspapers all over the world." One week later on June 17, 1963, after fourteen months in circulation, The Brooklyn Eagle again ceased publishing. The Christian Science Monitor sent a reporter to Alabama to investigate these claims and produced an article called "Another Face of Gadsden," which described the residents as generally friendly, hardworking and resourceful. On October 16, 1963 The New York Daily Mirror suddenly ceased after forty years of publication. On December 27, 1963 The Gadsden Times reported that The Brooklyn Eagle had folded. "Last year Farrell revived The Brooklyn Eagle, but under his leadership it closed after a few months. We genuinely regret personal financial disaster and the loss of jobs when a newspaper folds, but we cannot lament the passing of a newspaper given to misinformation and irresponsibility." On April 13, 1964 legal papers were filed in New York State to register a new enterprise, The Daily Mirror at 21 Hempstead Avenue in Brooklyn, with Robert W. Farrell named as the sole incorporator. 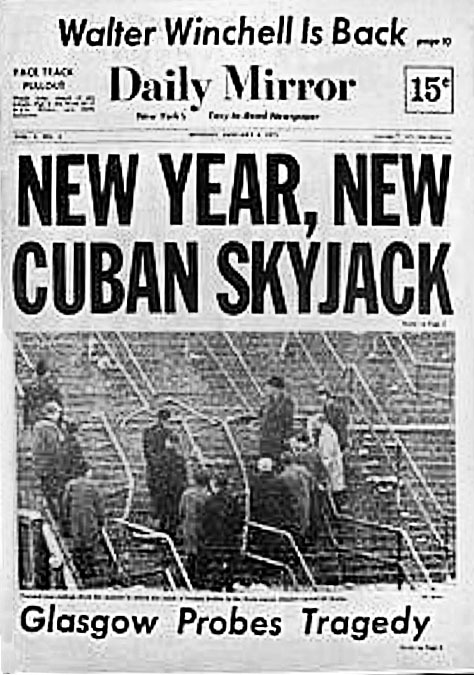 On April 2, 1965 The New York Times reported that Robert W. Farrell intended to begin publishing a new tabloid newspaper, The Sunday Mirror, with a guaranteed press run of 150,000 copies. The publisher was identified as a former columnist for the defunct Brooklyn Eagle, who gave "his age as the early fifties." He was fifty-seven. In 1967 Robert W. Farrell was identified as the President of the Newspaper Consolidated Corporation, with offices at 745 Fifth Avenue, owned The New York Daily Mirror. The newspaper was described as having standard UPI content and several comic strips, "with the typical look of a flashy tabloid, but the big selling point was a four page racing "pull-out" section which predicted winners at the tracks. On June 10, 1967 Robert W. Farrell registered a copyright with the U.S. Patent Office for a three-act play based on the criminal trial of Clarence Darrow, entitled "Anatomy of a Fix." On April 26, 1969 the Palm Beach Daily News reported that the renowned stage director, "Colonel Irving Strouse is spending time with his house guest, Robert Farrell, ex-publisher of The Brooklyn Eagle and The New York Daily Mirror. Mr. Farrell is consulting Strouse as a 'play doctor' on revisions to Farrell's new play about one of the Clarence Darrow's trails." 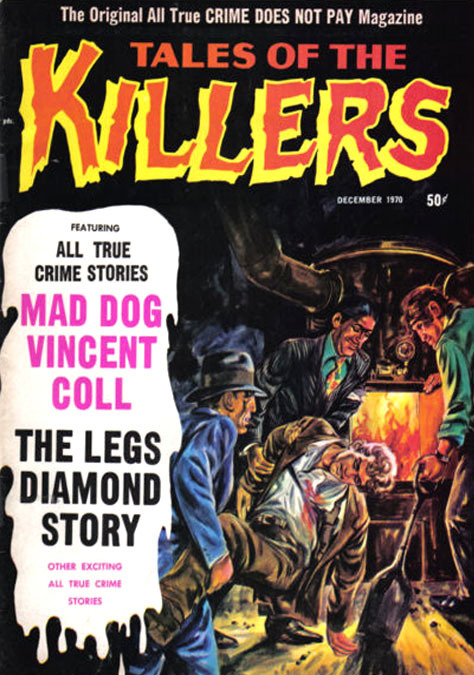 In November of 1970 World Famous Periodicals Incorporated at 67 Park Avenue published Tales of the Killers and Murder Tales. The contents page listed the Publisher and Editor as Robert W. Farrell. On January 4, 1971 Robert W. Farrell began to publish the revived newspaper, The New York Daily Mirror, which had closed several years earlier. According to The New York Times, "The initial financing came from a $300,000 public stock issue over the counter." The new weekday morning tabloid included columnists Bob Considine, William S. White, Bennett Cerf and Walter Winchell, who came out of retirement to write his column for the newspaper three-times-a-week. Newspaper coverage of this event identified the publisher as Robert W. Farrell, a former columnist, who was quoted as saying, "We're thriving and growing. We are selling very well in some areas, and we're trying hard to increase readership, but it's a little too early to give specific circulation numbers." On February 20, 1972 Walter Winchell died at the age of seventy-four. One week later on February 28, 1972 The New York Daily Mirror ceased publication after fourteen months in operation. On May 2, 1972 it was reported in NYC newspapers that, "Bob Farrell, who revived The New York Mirror and kept it going for fourteen months before it folded again, quit his newspaper ambition. He is now a public defender with the Nassau County Legal Aid Society." On January 9, 1973 Jack O'Brian, the syndicated gossip columnist of The Voice of Broadway, reported, "...Lawyer Bob Farrell, who's taken several cracks at newspaper publishing, insists he didn't do so badly with his long-gone papers, 'I started The Brooklyn Eagle with less than $10,000, ran more than a year and made $1,000,000 in ninety days. I revived The Daily Mirror with $100,000 after deposits. The odds against getting it started were 1,000-to-1 and for lasting one week 10,000-to-1. All I did was run fourteen months. I left both ventures when stockholders moved in. Both ended after I was gone.' Bob's back practicing criminal law in Mineola, Long Island." 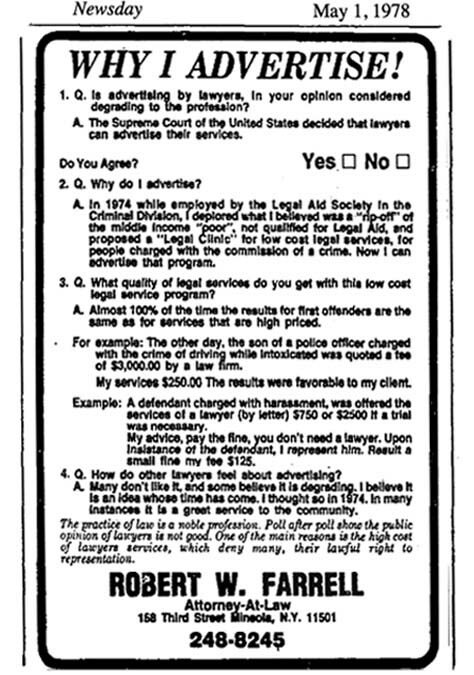 In 1978 Robert W. Farrell, Attorney-at-Law, placed advertisements in several newspapers for his Law Clinic at 158 Third Street in Mineola, NY. 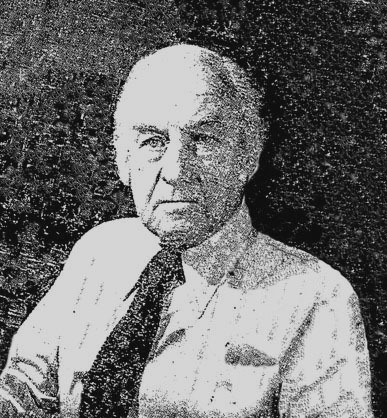 On April 18, 1977 New York Magazine identified Robert W. Farrell as a criminal lawyer who was also the former publisher of The Brooklyn Daily Eagle. He reportedly, "ran afoul of the Nassau County Bar Association when he started calling his practice a legal clinic and advertising his reduced rates to would-be customers. Farrell feels that the middle-class citizen does not get adequate representation. Many took a different view. He was forbidden to use the term 'clinic' and he found the tires on his car flat at least ten times when he parked near the county courthouse." In 1979 his law office were listed at 52 Third Avenue in Mineola, NY. In 1984 the law office of Robert W. Farrell was listed on Long Island at 2108 Route 111 in Central islip, NY. In 1985 the Long Island newspaper Newsday published business listings for "Robert Farrell & Associates" for legal services concerning criminal defense, matrimonial, real estate and bankruptcy. On March 4, 1986 a Letter-To-The-Editor was published in a Long Island newspaper from "Bob Farrell of Mineola" who described himself as a former newspaper columnist and friend of Walter Winchell. He claimed to have written a celebrity gossip column entitled "Pardon Me For Pointing" for fifteen years from 1940 to 1955. Robert W. Farrell died at the age of seventy-eight in NYC on April 1, 1986.